In the oven now....smells so good...can't wait! A nice way to keep your late husband in mind Kitty by making his favourite sliders and bringing out his tea mug on Father's Day. An awesome photo of Rich on your table, it appears to be a moment of love and appreciation for the surrounding beauty of nature. Kitty, you know Rich is smiling. What a sweet tribute with one of his favorite treats and that wonderful photo of him enjoying the great outdoors. Thinking about you today, as I know it must be an emotional day. I'm so sorry for your loss. How wonderful that you have such warm memories of him! I LOVE the photo of Rich in the Grand Tetons! He looks so full of joy. I know the two of you had much happiness together and how appropriate that you honor him this Father's Day. The sliders sound great and I'm going to try them. Yum! Thanks for sharing this sweet post, Kitty. Hi Kitty. Love the pic of your husband in The Tetons. I was there many years ago and it was just an amazing place. We oooooh'd and aahhhh'd the whole time we were there. Breathtaking. Hope you made it through today without too much sadness. I've never had White Castle burgers but your version sure looks yummy. LOVED seeing Rich in front of the Tetons...what a great, happy memory for you. I hope yesterday wasn't too difficult for you. I made it through one more holiday/milestone...that's all I can say. Oh how sweet of you to make these burgers in honor of your husband! 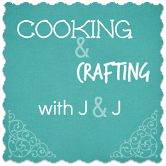 Thanks for sharing the recipe with us at Cooking and crafting with J & J! Oh,boy ... sliders and tea! Perfect for Father's Day. Although I don't like the mug much (giggle)...I'm a Texan fan! ;) ;) Hugs to you ... beautiful memories. Happy Tea Day! So sorry for your loss. What a perfect way of remembering your beloved. Making a copy of that recipe right now. Kitty, each story of Rich always tugs at my heart. What a great way to memorialize him by recreating his favorite burgers and thinking of wonderful moments your shared. I hope Mike is better - I have been a little out of touch, again. Hugs, friend!! P.S. I have never eaten a White Castle burger. I will have to try your recipe to see, if I like them! Condolences on your loss. I'm glad that you have such good memories. Wishing you many more happy times. This is definitely a manly tea party--nothing like hamburgers and tea in a football mug...although Cowboys are a real shame...I live in Redskin country :). That is a terrific picture of Rich, thanks so much for sharing your memories with us in this wonderful tribute. Oh Kitty, you are so precious! It is a blessing to hear of your sweet times with your husband and it's a joy to know that you can look back on those times with fondness.... Your sliders looks delicious, my friend! Thank you for sharing the recipe and sweet post with Roses of Inspiration. Hugs to you! Kitty, what a sweet tribute to your husband! I had my first and only White Castles when we visited our cousins in Ohio years ago. Must admit, I was shocked at how small they were but found them tasty. I think we would really like these! Pinning. Thanks for sharing with SYC. Yes - slide those slidders right over! Looks wonderful to me! There is just something about those White Castle burgers. I sometimes find them in the supermarket frozen section. This recipe sounds really good. I could just eat it without the rolls. Yum. What a precious post to honor Rich, I remember the day we got to spend with you al and I will always treasure that. This is a great little slider that we will love. I fell in love with White Castle's when I was in Ohio for the birth of my granddaughter, that was many long years ago. Hope you and your family have a safe and fun 4th of July! Thank you so much for sharing with Full Plate Thursday and have a great day!